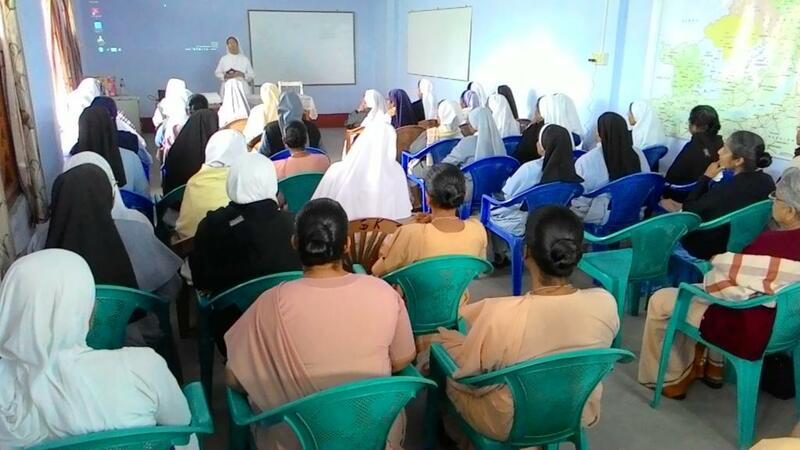 Bishop George organized a day of Animation for all the Superiors of Women Religious working in the Diocese of Miao on 9th April 2015 at Kristu Jyothi Niwas, Tinsukia. Almost all the superiors working in the Diocese participated in the animation programme. A few Superiors also brought along with them some of their community members. Sr. Kaini FMA, animating the programme, requested the participants to fully commit themselves to the people and the mission they have entrusted with. Highlighting the Year of Consecrated Life, Sr. Kaini asked them to celebrate their consecration and live their life to the full for the Glory of God.